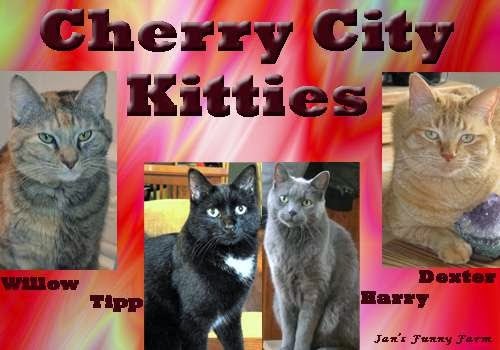 Cherry City Kitties : We're in "MOUSEBREATH" !!! That is great and we shall go and check it out. Have a fabulous Friday. I will run over to Mousebreath and read your interview at once !! Cool! We'll go over and check out your interview! Thank you so much for participating. We enjoyed interviewing all of you and are glad you enjoyed it too. We hope you have a lot of fun from it and make some new friends. Cool! Congrats. That's a pretty big deal. :) - Crepes. 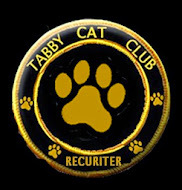 hiya and a furry nice to meet you... just read your interview. The Mom loves giving us kitties long names too like the one Harry has. Hope you blog more often. Have a pawderful weekend! a grate interviews guys...spesh a lee de WHOLE WHITEFISH part !!! hope everee one haza salmon N shrimpz kinda week oh end !! I saw your interview last night and loved it! Hey gang, I just came from reading your interview. That was lots of fun! Great to get to know you! Fabulous interview kitties and a special shout-out to my twin Nutkin for his healing purrs for his Mom when she needed them. 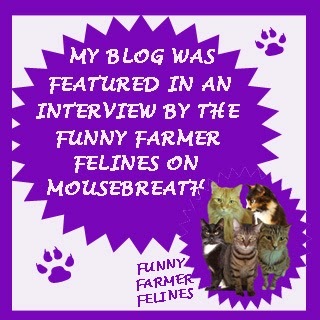 We saw your interview on Mousebreath and enjoyed learning more about you all. What an honor! We will have to go and check it out! Concatulations on your interview - looking forward to reading it when our internet connection is working properly! How awesome is that?! Running over to read the secrets I'm sure you revealed in your interview now!